Milestone Systems hosted more than 100 of its UK partners and customers at the opening of its new UK & Ireland headquarters in Green Park, Reading on April 28. 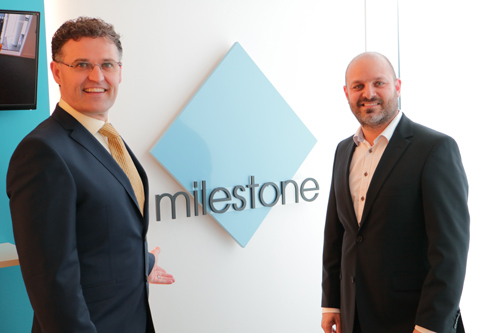 Milestone VP EMEA Thomas Lausten and Chris Whitting talked about the company strategy for accelerating growth in the region; increasing its support for key distribution partners, and creating initiatives to accelerate more growth for the partner ecosystem in this region. Milestone has also announced that its UK team has recruited Peter Greener, Channel Business Manager for the North of the UK. Peter was previously Business Development Manager – IP CCTV at Norbain. The company plans to recruit two additional members of staff in the coming months.